The Army Corps of Engineers on Friday ended its work rebuilding Puerto Rico's power infrastructure two weeks before the start of the 2018 hurricane season, the Federal Emergency Management Agency announced. Eight months after the Corps was deployed to the island territory in the wake of Hurricane Maria, FEMA said the organization would no longer assist the Puerto Rico Electric Power Authority in line restoration. When Maria hit the island in September, it knocked out power to 100 percent of residents. 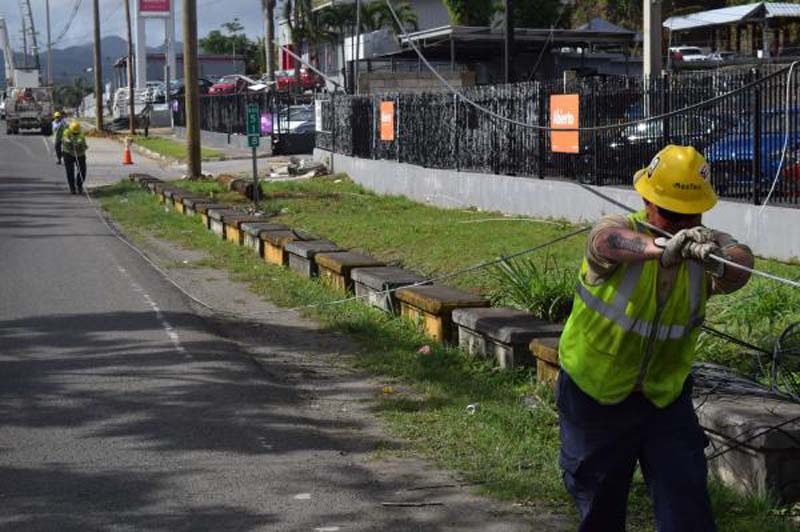 PREPA said as of Friday, about 95 percent of the island had power restored, though between 16,000 and 20,000 homes are still without. FEMA said it extended the lease, generation and maintenance of three mega generators in Puerto Rico until the territory's government completes its purchase of the devices. The Corps also will continue to support 700 generators and provide logistics and materials management capability until PREPA can take over. Jenniffer Gonzalez Colon, Puerto Rico's representative in Congress, said she was alarmed that the Corps would end its mission in power restoration before it is complete. "The federal support for Puerto Rico power restoration must continue until full completion," she tweeted Wednesday. The National Hurricane Center said Hurricane Maria caused an estimated $90 billion in damage and the biggest power outage in U.S. history. The 2018 hurricane season begins June 1. Colorado State University forecasters predicted the upcoming Atlantic season will be slightly above average with 14 named tropical storms, seven of which will hurricanes.